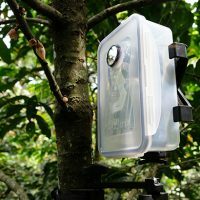 New year, new gear. We’re excited to announce the new additions and modifications to the Taylor line for 2019. 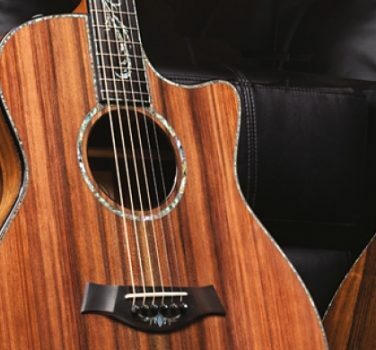 As we lift the wraps on our new V-Class-inspired Grand Pacific guitars—which promise to change how you think about the Taylor sound—and expand our V-Class bracing to Grand Concert models, we think it’s about as exciting a year as any we’ve ever had. 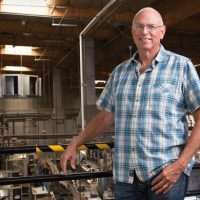 Read on to learn more about everything new from the Taylor factory. 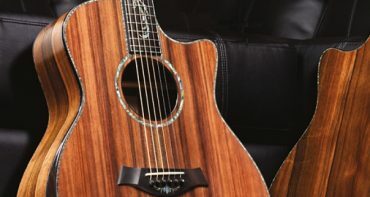 Built on the boundary-pushing design of V-Class bracing, Taylor is proud to announce a new body shape, a round-shoulder dreadnought called the Grand Pacific that reimagines the Taylor acoustic sound. 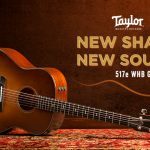 Until now, Taylor acoustics have been associated with a “modern” tone, characterized by articulate, well-defined notes that resonate distinctly in relation to each other to create a vibrant, high-fidelity sound. The Grand Pacific boasts a dramatically different flavor of sound. Thanks to the contours of the shape (especially the wider waist) and the tone-shaping power of our V-Class bracing architecture, the notes are rounder and broader, overlapping to create a more blended sound with a warm, seasoned personality. The guitars also produce stunning power in the bass range, without the muddy, woofy characteristics that create sonic problems, making for a more musical, usable in virtually every application. We’re launching the Grand Pacific body shape in three new guitars. 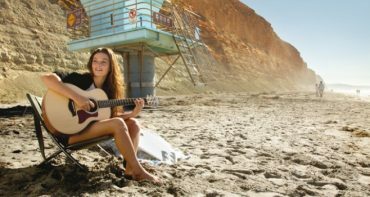 You’ll find Grand Pacific guitars now at Sweetwater.com, with models arriving in physical retail locations in early March. 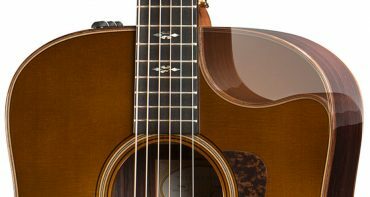 Explore the new models below and discover how the Grand Pacific dreadnought expands the musical range of our acoustic lineup. The beauty of our V-Class bracing platform is that it can be tailored for our different body styles to expand their musical range in distinctive ways. This year we’re bringing the bracing to many of our Grand Concert models. These comfortable, compact guitars were already popular for their inviting feel and articulate tone. With V-Class bracing under the hood, expect greater volume, impressive projection, beautiful sustain, and a cleaner, more musical tone, thanks to the bracing’s ability to smooth out intonation issues all the way down the neck. 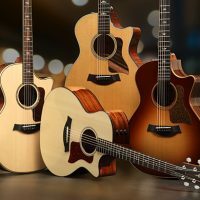 Appearing in the 300, 500, 800 and 800 Deluxe Series, we’ve built these new V-Class guitars with a wide swath of tonewood configurations that includes sapele/spruce and blackwood/mahogany (300 Series), mahogany/cedar and all-mahogany (500 Series), and rosewood/spruce (800/800 Deluxe Series). 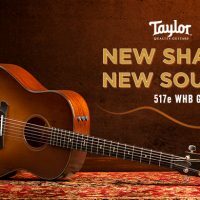 You’ll find Grand Concert guitars with V-Class bracing available at authorized Taylor dealers starting in February. Building on the success of our travel-sized acoustic bass, we’ve added another maple edition of our GS Mini Bass, featuring the beautiful blonde complexion of layered, figured maple back and sides, hard rock maple neck, and a solid spruce top. The compact bass is a perfect option for travel, touring, practice sessions, and even studio recording, thanks to surprisingly punchy tone and a slinky, easy-to-play fretting feel made possible through our partnership with D’Addario strings. Look for the GS Mini-e Maple Bass Maple at Taylor retailers everywhere. 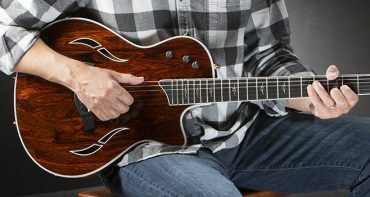 As always, we’ve reviewed our lineup of guitars for opportunities to improve on the tone, design, and aesthetics of our existing models. 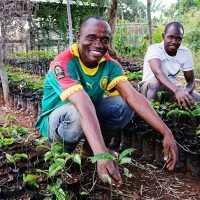 Here’s what you can expect this year. 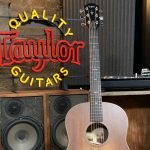 The paragon of Taylor craftsmanship and design, the Presentation Series is always ripe for fresh tonewoods and new features. 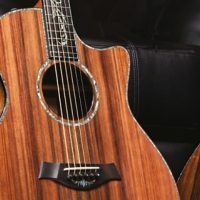 This year’s variations include an exciting pair of tonewood configurations: figured blackwood with an Adirondack spruce or sinker redwood top, or cocobolo with a sinker redwood top. To further hone the playing experience of these artfully appointed instruments, we’ve also modified our armrest from our beveled contouring to our rounded radius-style treatment. 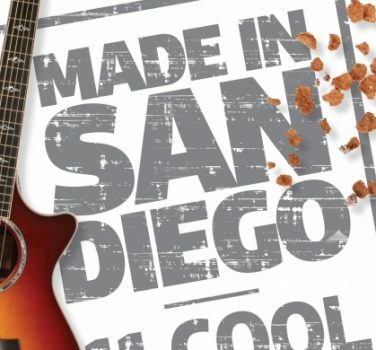 Always looking for chances to make our koa guitars shine even brighter, we’ve switched to Gotoh gold tuners on all models. In keeping with the Presentation standard, we’ve also tweaked our 900 Series guitars to include a radius armrest. Since the 800 Series is receiving a major upgrade in the form of V-Class bracing in Grand Concert models, we thought a new aesthetic touch was in order. You’ll now find smoked nickel tuners on all V-Class models, excluding those with a slotted headstock. 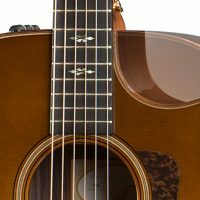 Likewise, the 300 Series benefits from some significant design changes this year, with V-Class bracing arriving in Grand Concert models and a new Grand Pacific dreadnought (317) bringing a new flavor of sound to the table. Additionally, all V-Class blackwood/mahogany models (e.g., 322ce) will now feature satin black tuners (excluding slotted headstock models). 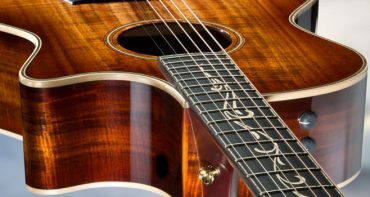 The popularity of the koa guitars within the 200 DLX Series (224ce-K DLX, 214ce-K DLX) inspired us to imbue it with a new bit of visual flair. Both of these models will now feature gold tuning machines.